Materials Needed: Listed for only one pumpkin. Gauge: Not essential, just want stitches tight enough, so that you don’t see the stuffing showing through. 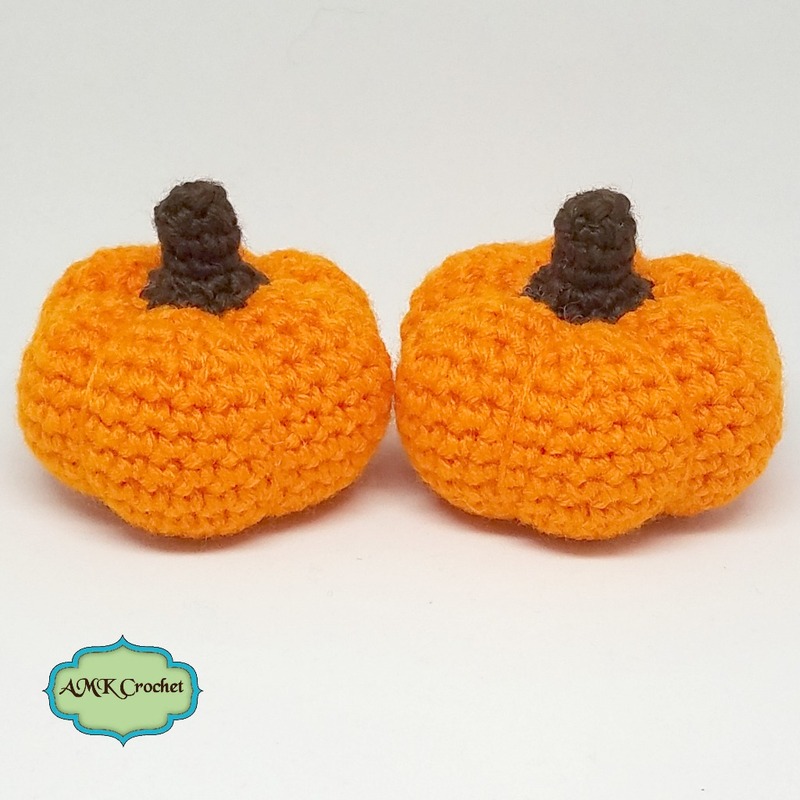 Pumpkin: All parts use ‘E’ hook or hook used to match gauge with worsted weight yarn. Worked in the round and seamless. I highly recommend using a stitch marker and moving it up each round. Round 16: *sc2tog, 1 sc in the next st*, repeat from * to * around. (12) Stuff with poly-fil. Round 17: sc2tog around. (6) Fasten off, leaving a long tail for creating sections of your pumpkin. Finish stuffing, you want it to be fairly firm, so that you can create sections. Using a tapestry needle, go through the front loops of the remaining 6 sts (1st picture below) and pull tight to close. Going in through the top middle of the pumpkin (2nd picture below) and out the bottom (around the magic ring you started with, 3rd picture below) and pull tight. This will create the sections of your pumpkin. Repeat going through the middle and out next to the magic ring till you have 6 sections created (4th picture below). Weave in ends. Round 5: 2 sc in each st around. (12) Fasten off, leaving a long tail. Stuff the stem and sew on around the top of your pumpkin. Once you sew on about 3/4ths of the way, add a little bit more stuffing, if needed. Once you have sewn the stem fully on, push the needle down and out towards the bottom of the pumpkin, to lose the end in the stuffing. 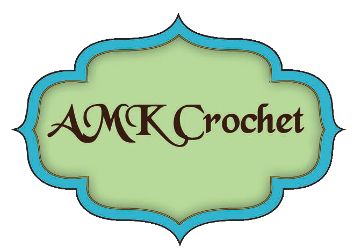 Be on the look out for my next posts! Will be posting a c2c orca graphgan and pregnancy announcement fruit, to document the size of the babies!